When I am this quiet on the blog, you can count on the fact that I am super busy! My cabin at the Farmer's Market opens on Wednesday. I have a lot done, but will be there tomorrow finishing everything up. I replaced the too large front counter with a display case that fits the space better, will allow for a display area for special items, and still have essential storage space. Now, on to this cute set that will be at the cabin on opening day. 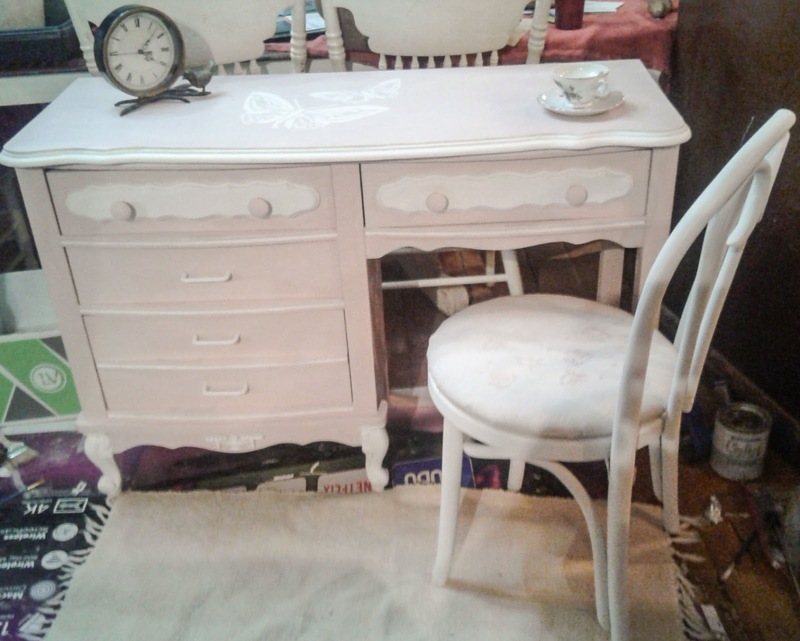 This desk is typical 1950's-60's French Provincial, that had an original color scheme of gold and white. 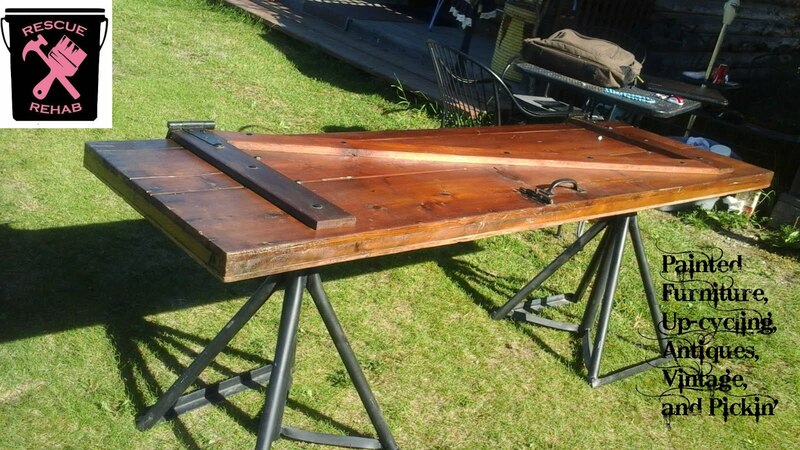 As with all of the pieces of this era that I have worked on, it is not all wood, so it takes more than usual prep time, to get a lasting finish. Someone had painted it black.....so I had that to deal with also. I forgot to get a picture...but I can testify...it was bad. 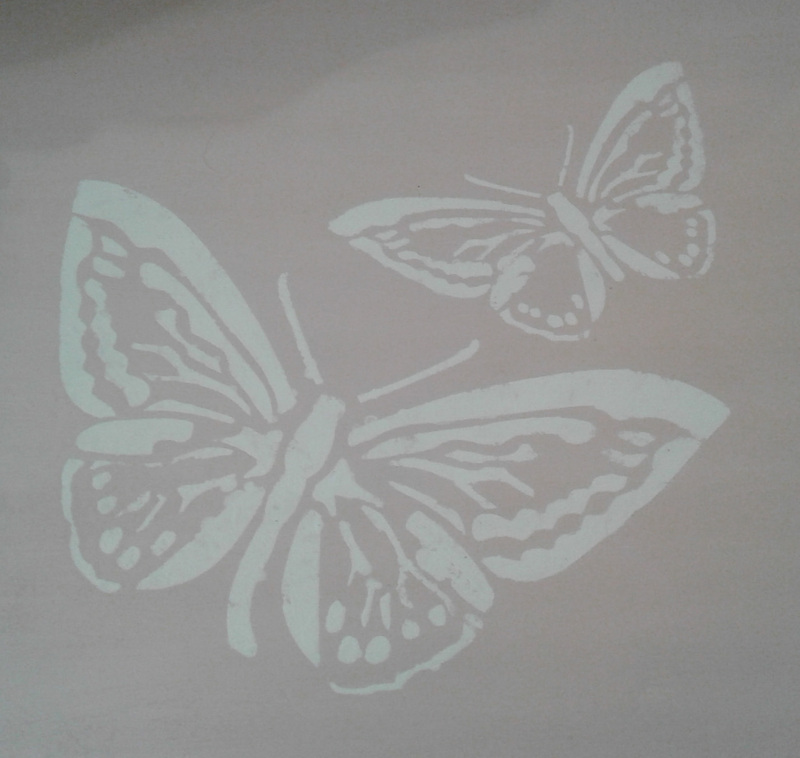 I chose to paint this in Blush Pink and Linen White from Rustoleum Chalked Paint. 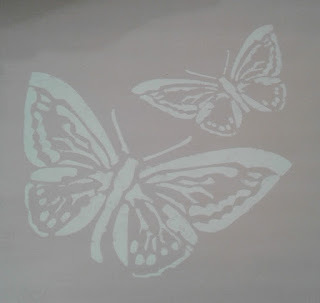 Cute butterfly stencils decorate the top. The chair is an ice cream parlor type painted in Linen White. Both pieces were sealed with Rustoleum Matte Finish. 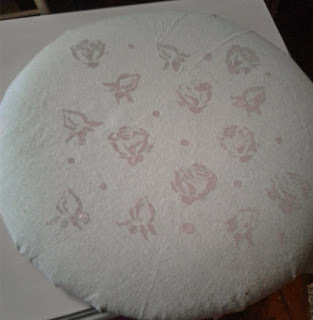 The seat has been reupholstered in a canvas type material and stenciled with rosebuds and roses. If you are in the area the Market will open Wednesday, May 17th from 10-5. This is so pretty, Marti! Thank you Diana! And thank you so much for the link party!